Naruto Shippuden Box-set-that’s-actually-a-standard-two-disc-release #30 contains Episodes 375 – 388 of the series, and with the exception of two episodes, all are adaptations of the original manga story (although two episodes of those manage to stretch a single chapter between them, more on that later…) We start with Kakashi doing battle with his old ally-turned-enemy Obito, and the two eventually fighting to a stalemate, leading to Obito returning to the main battlefield where legendarily bad ninja Madara is battling Naruto and co. using a partly restored Ten-Tails beast. 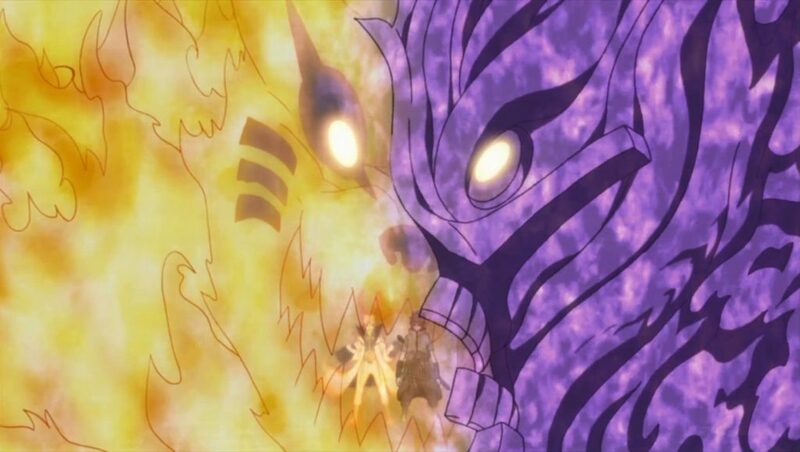 Madara wishes for his secret student to bring him back to life, but Obito instead attempts to absorb the Ten-Tails and become its “Jinchuriki”, or human host. Anyway, from Episode 378 onwards we’re back to adapting the original manga. As you’d imagine, there is a lot of fighting given we’re … sort-of nearing the end, but also as you’d imagine there are quite a few flashbacks. 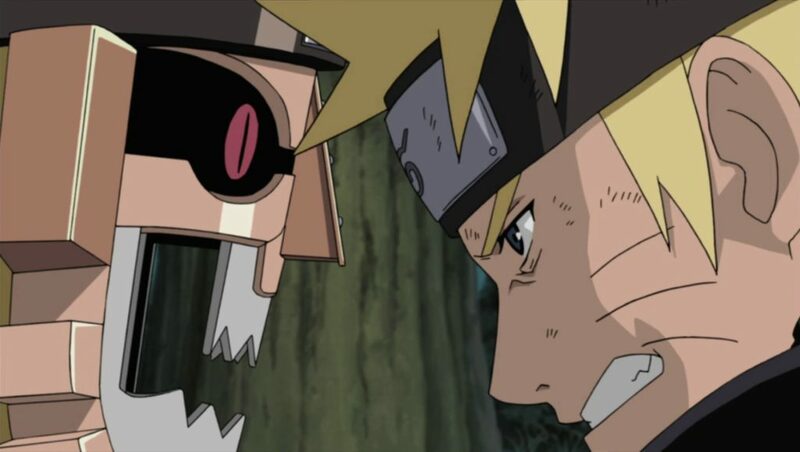 Chief among the perpetrators of the latter are Episodes 385 and 386, which stretch a single conversation Naruto and Obito had in the manga across both episodes, with plenty of Obito flashbacks we’ve seen before… many times. 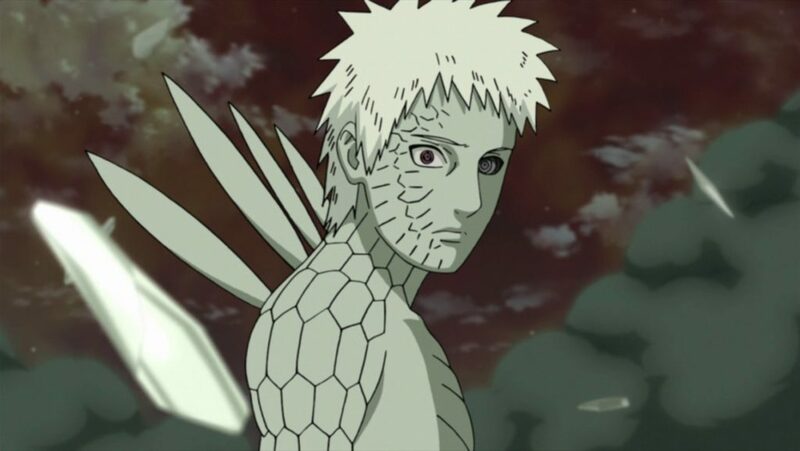 Episode 388 also features a flashback of Gaara remembering how his friendship with Naruto got started, though that’s at least not as obnoxiously long… As usual for these sets, I can’t really go into too much detail in these later episodes without spoiling too much. “Guren” (“Crimson”) by DOES continues to be the opening theme until Episode 379, when it switches to “Silhouette” by KANA-BOON. “Never Change” by SHUN and Lyu:Lyu is the ending theme also until Episode 379, where it switches to “Dame Dame da” (“It’s Absolutely No Good”) by Shiori Tomita, which is being harsh on itself, it’s not that bad at all! As usual the only extras are clean opening / ending and trailers. 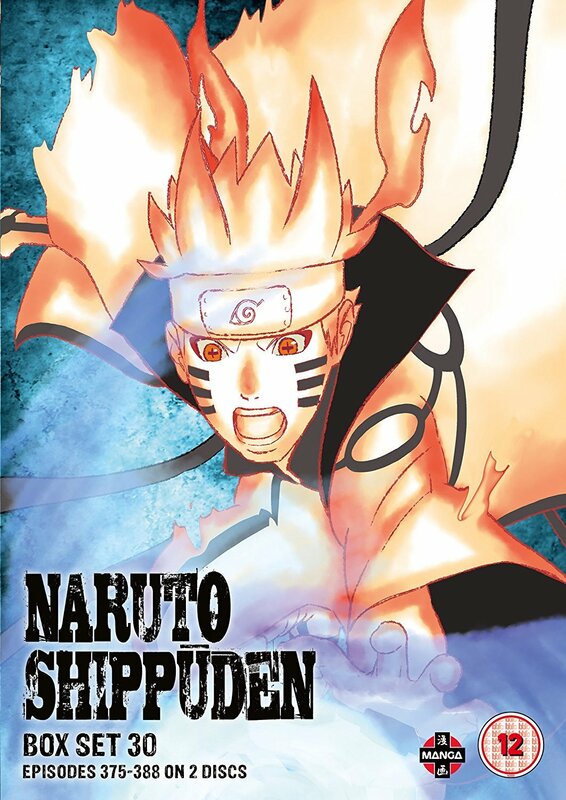 After two releases containing nearly nothing but adaptations of the manga, Naruto Shippuden Box Set 31 falls into a filler-fest, to the sad surprise of nobody. But is the filler here any good, or is it so bad it’s worth losing the few “canon” episodes contained in this set by skipping it? Let’s find out!